Continuing their green automotive efforts, Honda is now partnering with the competing automaker to help advance overall vehicle technology. There are few things that get the sales team at Frank Leta Honda more excited than hearing that the automaker they have supported for years is advancing their already impressive efforts in green auto technology. So it is with great pride that they announce Honda's team-up with General Motors, one of the select other automakers currently making advances in fuel cell technology. The primary goal of the automakers is to develop a fuel cell system that could potentially become universal, thus reducing their cost and increasing the increased presence of fuel stations that support the quick refueling of these vehicles. One of the biggest advantages of these vehicles is their ability to get drivers from place to place with little to no effective environmental impact. 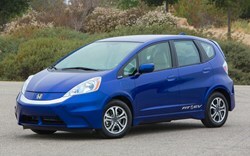 This is in addition to the Fit EV and the very limited release of Honda's fuel cell vehicle, the FCX Clarity. By partnering with GM to improve technology advancement, Honda predicts a full release of the FCX Clarity in 2015 for both Japan and the United States. If any of these vehicles sound appealing, they might fall under Honda's current Summer Clearance Event, which offers incredible lease rates and financing as low as 0.9% APR to qualified drivers. 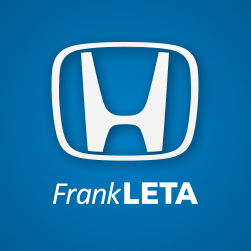 Explore new car specials to see what alternative fuel options are available for extra savings this summer at Frank Leta Honda. For more on Honda's many initiatives into making greener vehicles, including information about the FCX, hybrid options, and their partnership with GM, contact a sales expert at Frank Leta Honda today. Located at 500 Auto Mall Drive in O'Fallon, Missouri, their dealership is open six days a week and features the new Honda lineup, a range of pre-owned vehicles, and even includes an on-site service center.